The median legal malpractice settlement/verdict in Maryland is $125,000, according to a Metro Verdict Monthly report. Median legal malpractice settlements and verdicts were higher in Virginia (median: $212,500) and Washington, D.C. (median $200,000), according to the study. Although the data is old, the average verdict (not considering settlements) in Missouri was about $131,000. It is worth noting that while there is no data available on the average verdict or settlement data in Maryland for attorney errors, you can expect that the number is probably at least three times the median. Why? The median verdict blunts the effect of larger malpractice awards/settlements. But, look, ultimately none of this really speaks to the value of your case. The amount of your recovery will be driven by the harm done to you. Tort lawyers are the most represented type of attorney in attorney mistake claims. (Real estate lawyers are not far behind.) A remarkable number of these cases involve well meaning advocates who have blown the statute of limitations. Many of these involve motor vehicle collision cases involving federal, state, or local government defendants where there are deadlines to file formal notice of an intent to make a claim. See paragraph 2 here. In these types of cases, the client bringing the claim must demonstrate that he/she would have won the original case and how much would have been recovered. So if prior counsel blows the statute of limitations, the Plaintiff is required to make the original claim in the malpractice claim. So essentially, a tort claim based legal mistake or ommision case is going to require proof of (1) the legal error and, and (2) the merits of the case involving the original claim. 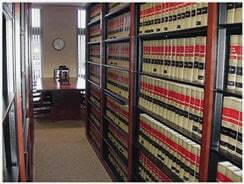 Our law firm handles only cases that stem from a serious personal injury case. If you have a potential attorney error that you want to discuss, call us for a free consultation at 800-553-8082 or get a free no obligation online consultation.